Tim John Watters, "Muddy" was born 1959, in Kamloops, BC; he played 3 seasons for Michigan Tech 1977-1981. He also played for the Canadian National Team 1979-80 in the 1980 Olympics and again in the 1988 Olympics. While a player at Michigan Tech, he had the most points by a defenseman in a season (50), most assists by a defenseman in a season (38), he was NCAA West All-American First Team, WCHA All-Star First team, received the MTU Gitzen-Loutit Award for Outstanding Defenseman, and Team Captain in 1980-81, and the NCAA Tournament All-Star First Team in 1981. He was selected by the Winnipeg Jets round 6, #124 overall in the 1979 NHL Entry Draft. He played for the Tulsa Oilers CHL 1981-82 and was on the team that won the bronze medal in the 1983 World Championships. He then played 7 seasons with the Winnipeg Jets NHL 1981-88 and the Canadian National Team again in 1987-88 when they placed 4th in the 1988 Olympics. He played 7 seasons with the Los Angeles Kings 1988-1995, missing most of the 1995 season with an injury. Tim retired from NHL play and became an assistant coach with the Boston Bruins 1995-96 and then returned to Michigan Tech to coach for 3 seasons 1996-2000. Tim was inducted into the Michigan Tech Sports Hall of Fame in 1997. Watters is still involved in hockey, coaching his sons youth teams; his family makes their summer home here in Houghton County. C. Ernest Westcott, born 18-- in -- one of the early Portage Lake players, he played wing for ? seasons with the Portage Lake team 1902-03, 1903-04, 1904-05, . 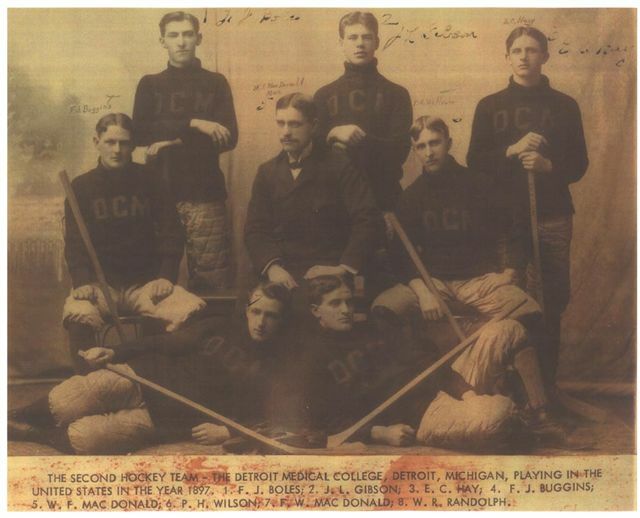 N. Fred Westcott, born 18-- in -- one of the early Portage Lake players, he played wing for ? seasons with the Portage Lake team 1903-04 and on later amateur Portage Lake teams. Jack "Johnny" Whittaker, born in Calumet (1913-1955) was called Johnny, Kotta or Whitey (he was very blond haired). 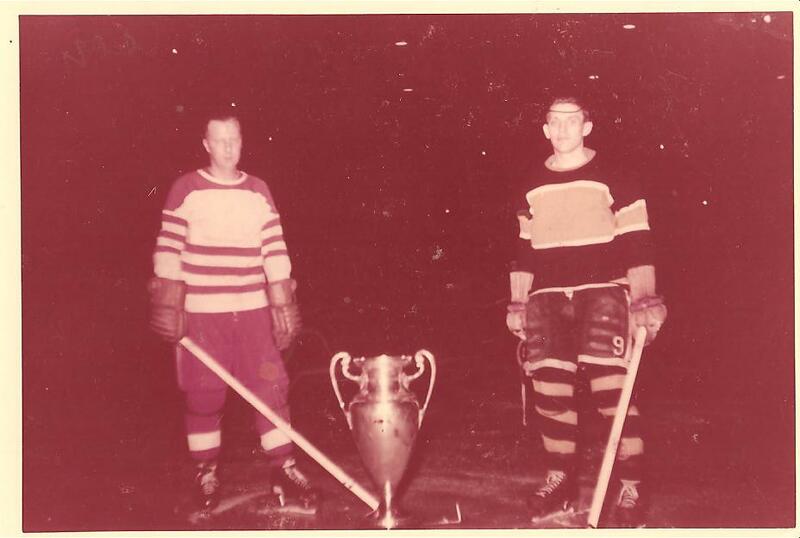 He played hockey on the Calumet-Laurium team when they won the MacNaughton Cup in 1938. He played hockey in Chicago with the Boston Store team and earned all-star honor for Chicago's Midwest League champions in 1934. He played hockey for the Baltimore Orioles 1935-36 in the EHL where he was one of their better scorers and had the most penalty minutes on the team for the season. He then returned to the Copper Country and played on the local Calumet-Laurium teams in the NMHL. In the 1941-42 season, he played 32 games with the Washington Lions in the AHL. He played on the CLK teams for the rest of his life. 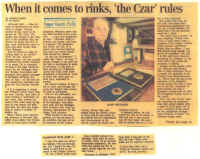 A 1959 local news article called him the "greatest star ever to grace the Armory ice... he played for the Calumet Radars.... he scored 174 goals and 176 assists for 350 points in his 1936-1954 hockey career with 25 goals and 37 points in playoffs. One of Whittaker's best performances came against the Eagle River Falcons in the 1947-48 season when he scored 6 goals, the Radars winning 13-5." Whittaker's last season was in 1953-54 with the Calumet Radars; he did not play again due to a "weakened heart condition" and died just a year later in 1955 at the age of 42. 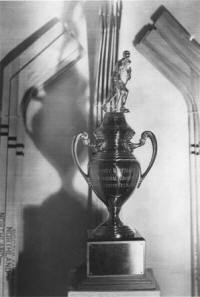 In 1957, a trophy was made in his honor called the Johnny Whittaker Memorial Trophy. 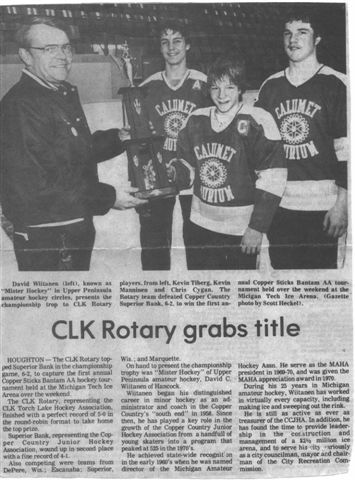 The first few years, the trophy went to the winner of a series in the senior league between the CLK Radars and the Portage Lake Pioneers; it then went to the winner of a series in the junior hockey league between teams from Calumet and Portage Lake. 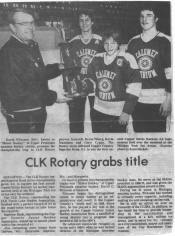 It was last awarded in 1971 to the Calumet-Laurium Rotary Bantam team. Another trophy was awarded in honor of Whittaker in the local fast pitch softball Leagues. Whittaker was inducted into the Upper Peninsula Hall of Fame in 1998. According to local friend and hockey fan Bob Erkkila: "Johnny "Cotta" Whittaker grew up in Blue Jacket location and began skating and playing hockey on the nearby Pine Street rink. Like most depression era youngsters, he spent a good deal of time at the rink and soon became one of the best young players in the area. He began his organized playing career with the Pine Street Trojans and in his first year on the team they won the Upper Peninsula Junior Hockey championship. Johnny and his teammates continued to play with the Trojans as they moved up to the intermediate division and became one of the finest intermediate teams in the entire Copper Country. It wasn’t long before Johnny’s accomplishments were beginning to catch the eye of hockey coaches and scouts from throughout the Midwest. After playing another year of intermediate hockey with the Centennial Heights Huskies, he was asked to play in the newly formed Midwest Amateur Hockey League (MAHL) based in Chicago. 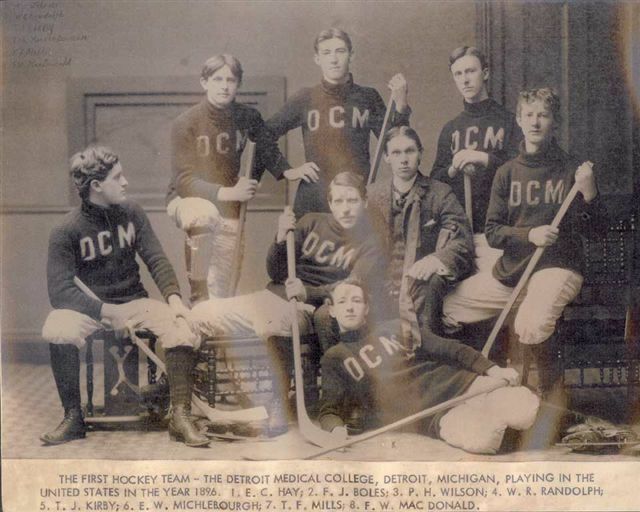 This league was started by Joe Springer and John McLaughlin of the Chicago Blackhawks to help develop American-born players for the National Hockey League. Some of the more well-know franchises in the league were the Baby Ruths, C.Y.O., Curtis Butterfingers and the Boston Store. 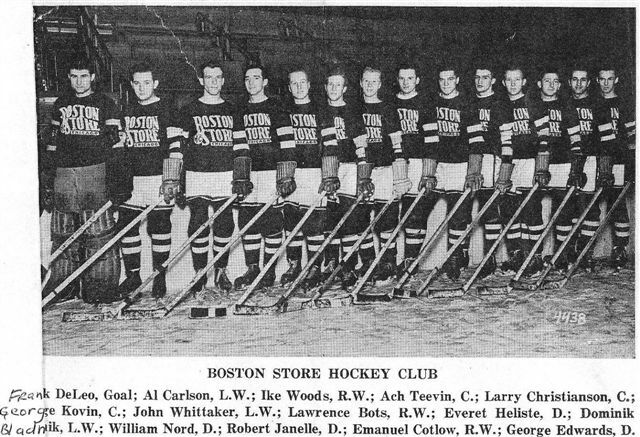 In 1934, Johnny signed a contract to play as a forward on the Boston Store team. Johnny had a great first year in the league and was chosen as a member of the All-Star team while leading his squad to the league championship. After the 1934-35 season in Chicago, Johnny was contacted by the Baltimore Orioles of the Eastern Amateur Hockey League (EAHL) and offered a contract to play for that franchise the following year. Photo courtesy of Mim Whittaker. After two years with the Baltimore Orioles organization, Johnny was persuaded by coach Joe Savini to return home and play for the Calumet-Laurium Olympics. The following year, 1938-39, he played with the Calumet-Laurium Chevrolets and led the league in scoring. 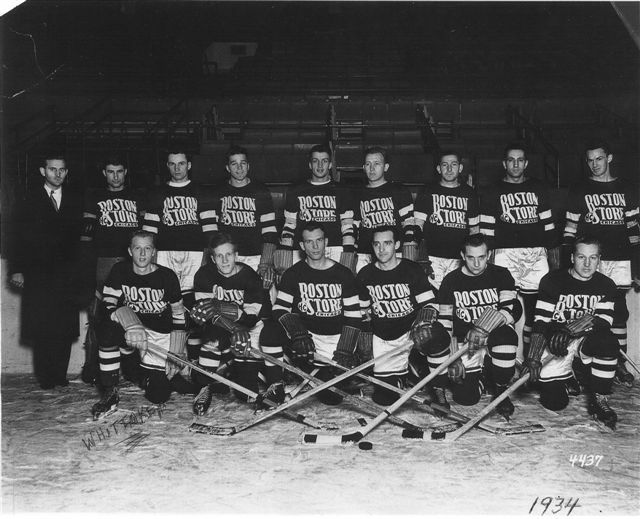 This team won the league championship and the MacNaughton Trophy by defeating the American Soo Indians, coached by former NHL star and Hall of Famer, Taffy Abel. In 1940-41, Johnny joined the Painesdale V-8's which were then led by future Detroit Red Wing, Tony Bukovich. 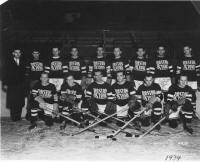 In October of 1941, Johnny and two other Calumet players, Frank "Puppy" Gresnick and George Koivuniemi, were signed to play with the Washington Lions of the Eastern Professional Hockey League (EPHL). Their coach in Washington was "Ching" Johnson, former New York Ranger star and NHL Hall of Fame member. After one season in Washington, Johnny returned to Calumet and for the next six seasons played for the Calumet senior team in the Michigan-Ontario Hockey League (MOHL). In 1947-48, Johnny was given the Most Sportsmanlike Player Award by the league for combining both skill and clean play. He often stated that this award was the greatest honor in his hockey career. After the Calumet team disbanded in 1948-49, Johnny played for the Portage Lake Pioneers and in 1949-50 for the Marquette Sentinels who won the MOHL championship that year. In 1950-51 he returned to Calumet to play with the CLK Radars and at the age of 38 had one of his finest seasons, leading the team with 29 goals and 33 assists for 62 points. Even though Johnny announced his retirement after this season, he did come back a few years later and played his final season with the Radars in 1954-55. In April of 1955, only a month after his last season ended, Johnny Whittaker passed away at the age of 42. Whenever old timers sit down to talk about great players from the Calumet area, one of the first names to come up is always that of Johnny "Cotta"Whittaker. He is remembered as an outstanding player who was also a true gentleman. Richard Whitten, born 1968 in Denver, Co. Rich played 3 years for Houghton High School 1983-86 where he held the school record for goals in a season (37 in 1985-86.) He played for Team Michigan at the Chicago Showcase in 1986, leading the team in scoring with 10 points in 3 games. He went on to play college hockey with Western Michigan University for 4 years 1986-90 where he was named to the CCHA All-Academic First Team in 1990. Dave Wiitanen, lives in nearby Hancock, and has been a long time supporter and officer of our local, regional and State Hockey Boards. He started his hockey affiliation in 1963 as a CCJHA Bantam Coach for 2 years and served on the CCJHA Board, was their President 2 terms and their Treasurer for 15 years; he received a 30 year Appreciation Award from CCJHA in 1993. He served as President of Portage Lake Multi Educational Services, Inc for 15 years. This group is responsible for the building the Houghton Country Arena Ice Rink via fundraising, grants and donation drives. He was Treasurer of the group during their organizing period. This group continues to operate the Houghton County Arena. Dave was on a committee with other locals (Gordon Barkell, Bill Barstow, Jim Kneebone, AJ Cybulski and others) to reactivate High School hockey in the area. He was also on the organizing committee that worked to restore senior hockey here by reactivating the Portage Lake Pioneers hockey team, then served on their Board. He has been a member of the MTU Blue Line Club for over a decade, serving on their Board for 5 years. He has been a member of the MTU Huskies Club for over a decade, serving on their Board for 5 years; both raise funds for athletics. 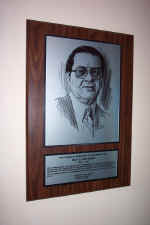 In 1988 he was awarded the Clare M. Donovan Award for service to MTU students. Dave was the Managing Director of the Upper Peninsula Hockey Association for 10 years. He has served on the Directors Board of Michigan Amateur Hockey Association since 1966; he was Vice President in 1966, and President for 2 years in 1970-71. He received the MAHA Appreciation Award in 1970 and the William Kellogg Memorial Award for outstanding achievement and dedication to amateur hockey in 1999 from MAHA. He is President and General Manager of Michigan All Stater, Inc for High School Senior selections and on the Selection Committee for the Northern Michigan Area. Team Michigan competes in the National High School Tournament each year in Chicago; 34 states are involved in this tournament. Dave is the USA Hockey Associate Registrar since 1992. Dave retired from MTU in 1993 after 30 years in the Facilities Management Department. 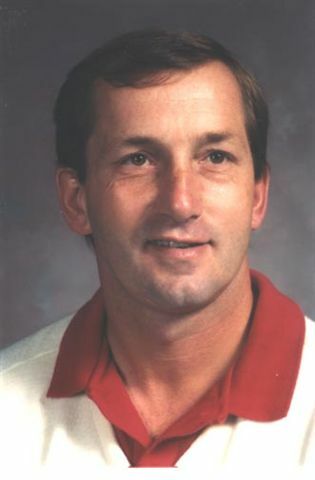 He was a city councilman for the city of Hancock 1976-82 and the Mayor of Hancock in 1980. He was the Township Supervisor of Osceola Township from 1996 to --. Wiitanen continues to be a hockey supporter here, especially working to improve the Houghton County Ice Arena and the Laurn-Grove outdoor Ice Rink, both in Hancock. This plaque was placed in the Dee Stadium ice rink to recognize Ray's dedication to youth sports. 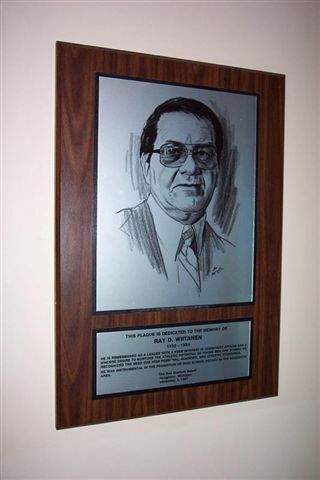 It reads: "This plaque is dedicated to the memory of Ray D. Wiitanen 1930-1984. He is remembered as a leader with a keen interest in community affairs and a sincere desire to nurture the athletic potential of young men and women. He recognized the need for high personal, academic and athletic standards. 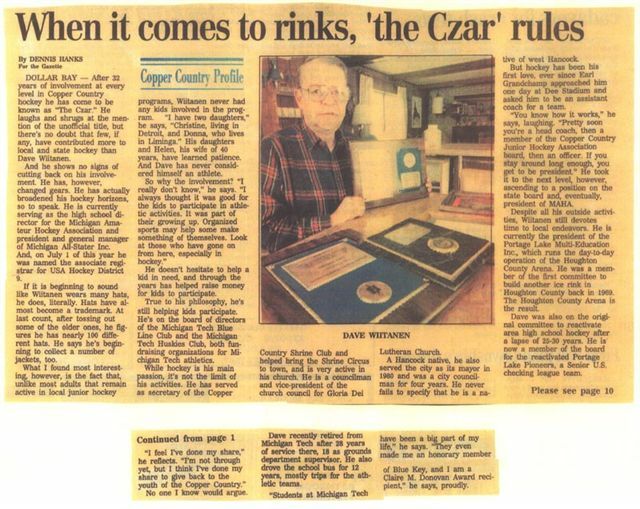 He was instrumental in the promotion of High School Hockey in the Houghton Area. The Dee Stadium Board, Houghton, Michigan, December 1, 1987." Ron Wiitanen, born 1978 in Hancock, played goalie for Houghton High School, played goalie in the USHL for the Dubuque Fighting Saints Junior team, 1998-99 and Lake Superior State; and locally for the local Finlandia University Hockey Team 2000-01 and Michigan Tech 2001-02. Back Row L to Rt: E.C. Hay, F.J. Boles, P.H. Willson. Middle Row: W.R. Randolph, T.J. Kirby, E.W. Mechlebourgh, T.F. Mills. Standing L-Rt: F.J. Boles, J.L. Gibson, E.C. Hay. Seated L-Rt: F.J. Buggins, W.F. MacDonald, P.H. Willson. Front L-Rt: F.W. MacDonald, W.R. Randolph. Dave Witting, born 19-- in Hancock, was the Captain of the 1964 Laurn-Grove juvenile hockey team when they won the National Championship Title; Dave scored 7 goals in the final game vs the Soo. He went on to play college hockey at UW-Superior 1968-72; he was the Captain in his senior year. Dave was the leading scorer for the Copper Country Chiefs (based out of Calumet, MI) in the USHL 1973-75, and also played for the Duluth Port Stars. He played Senior hockey for the C-L-K Wolves, Eagle River Falcons, and the Fond Du Lac Bears. Dave coached High School hockey at Jeffers-Painesdale 1975-80, they played in the States twice; he also coached High School hockey at Fond Du Lac, Wi. and Soldotna, Ak. Dave is presently a middle school teacher in Beloit, Wi were he coached the High School team from 1984-94 and 2000-02, making two trips to the State finals. He has served as a coach or gen. mgr. of Team Wisconsin boy's and girl's since 1986; the 2002 girl's won Gold, the 2003 boy's won Gold. He is active with USA Hockey, Central District, having coached a select 15 or 16 team since 1995, winning one Gold and four Silver Medals. In 2001, he was selected to coach in an International hockey program in the Czech Republic. He was the 2002 Asst. Camp Director USA Hockey 18/19 girls camp in Lake Placid, NY. 2001-03 he coached the Madison Capitols U19 girls team, advancing to Nationals in 2003. He has worked hockey camps at Michigan Tech, Eagle River, Wi. and Chicago Blackhawks Youth Hockey Camps. He now serves as the coaching and player development Director for Wisconsin Amateur Hockey. 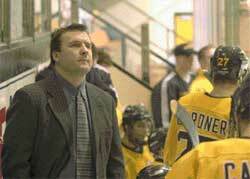 In 2004, Dave received the Walter Yaciuk Award for coaching at the USA Hockey Annual Congress. This award is presented annually by USA Hockey's Coaching Education Program to an individual who has made an outstanding contribution to the program during many years of service as a volunteer. 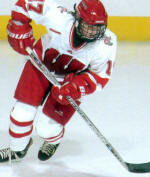 Dave's daughter Kristen, received a hockey scholarship from University of Wisconsin. This web page is still being researched and is still under construction! Contact webmaster if you have any suggestions/corrections/additions/questions about this web page.